On Wednesday Kentucky fans got the news they feared. Wandale Robinson has officially flipped his commitment from Kentucky to Nebraska. 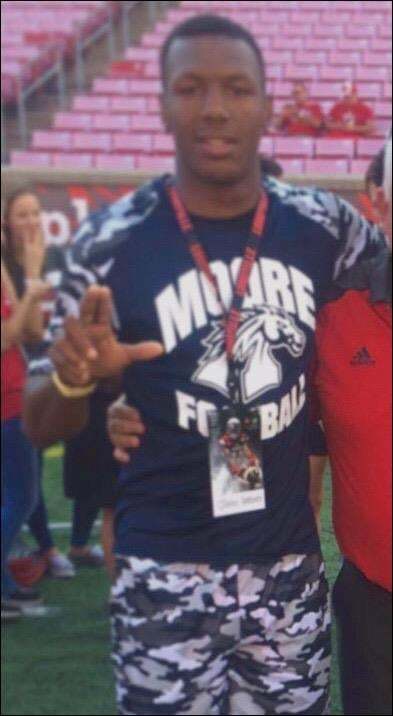 The four star RB back from Frankfort, who recently won Mr. Football, committed to Kentucky on November 1st. After the commitment, many Nebraska fans accused the Cats, specifically Vince Marrow, of paying Robinson. 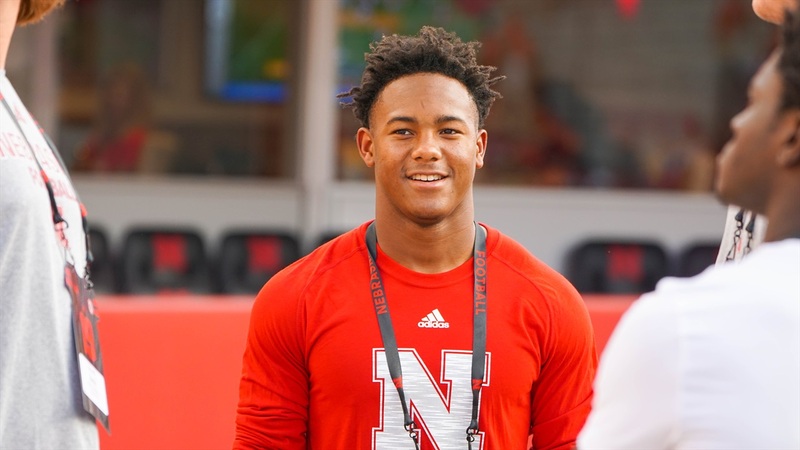 In the past several days, Robinson’s commitment has become weaker and weaker after saying he would be signing with Kentucky in just a couple of weeks while also saying Nebraska was still heavily recruiting him. That is a little piece out of Robinson’s statement above. I will say that I am disappointed and think that things could’ve been handled better. After all, Robinson is 18 years old and has a lot of pressure on his shoulders. It’s recruiting, this happens. I wish him nothing but the best as a Cornhusker. 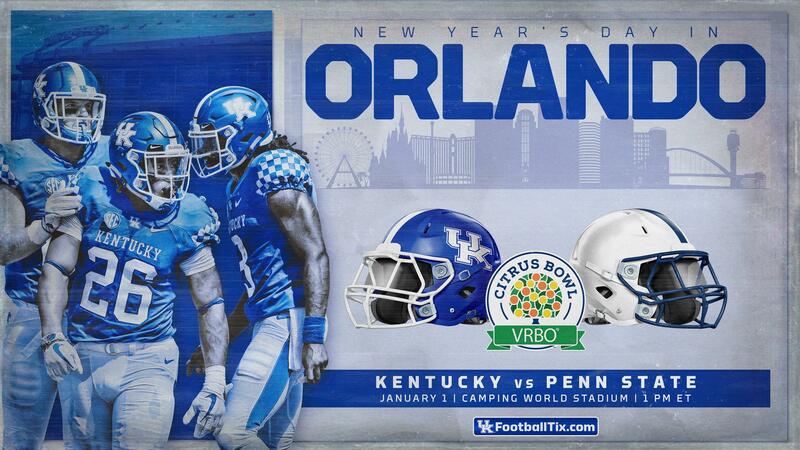 On Tuesday it was announced that the Kentucky Wildcats will be heading to Orlando, Florida to face the Penn State Nittany Lions in the VRBO Citrus Bowl. The game is set to kickoff around 1 PM on ABC, January 1st. Kentucky and Penn State have played each other six times. The last time they played was in the 1999 Outback Bowl, which Penn State won, 26-14. By the time this game is played, that game will have been played 20 years ago. So here’s what life was like back in 1999. Life was rough. Don’t know how you people did it. Weaver is 6’6” 240 pounds but he has another body feature that I cannot stop looking at. Weaver is considered Kentucky’s seventh-best prospect. 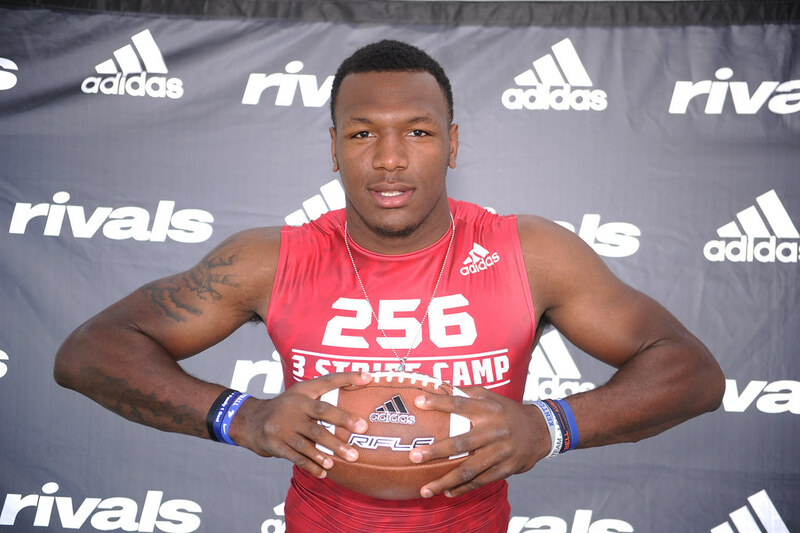 He is a top 25 defensive end and a few spots outside the top 300. The thing that I cannot get over though is Weaver has six fingers. The crazy thing is you can’t tell which one doesn’t belong. It’s crazy and makes me wonder a few things, but I guess we’ll get some answers when he makes his announcement tomorrow. It’s crazy to think that there are only two games remaining for Kentucky football this year. It feels like just yesterday I was sweating out Kentucky vs. Florida. Senior day is here though and Kentucky’s last home game for the year is tomorrow. This season has had its fair share of ups and downs and I get that most of you are somewhat disappointed with the way the season has ended so far, but we still have two games to cheer on our Cats before they take a month off for whatever bowl game they play in. It’s cold, it snowed last night, the pain of the Duke and Tennessee game is still there, but Kentucky has a great chance to win 10 games (including the bowl game) this season and some of us are disappointed. I understand why most of us are a little frustrated, but we need to put that aside and go support the seniors tomorrow. With all of that, here are five things I want to see tomorrow. As I said above, it’s senior day tomorrow, which means it will be the last time you all get to see these guys play in person, unless you’re going to the bowl game. It’s going to be cold, early, and we’re playing Middle Tennessee State, but that still doesn’t mean all of BBN shouldn’t be out there to say goodbye to our seniors. 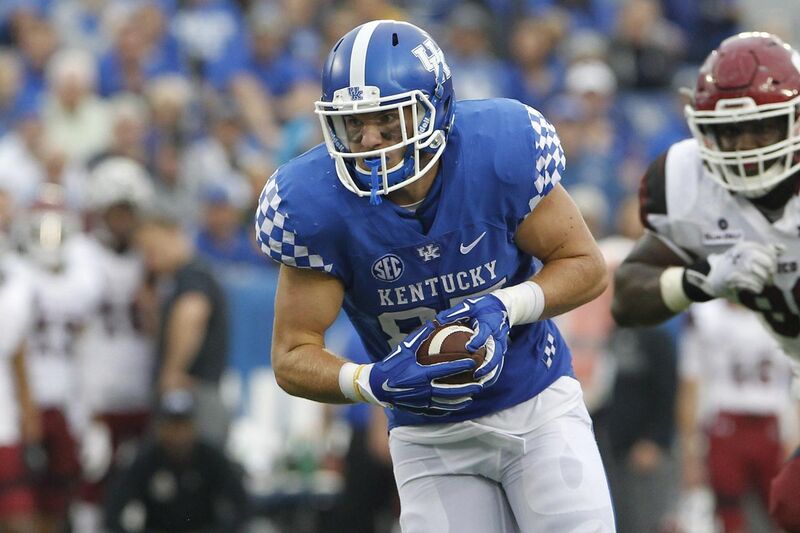 Ever since the second half of South Carolina, Kentucky’s offense has looked stagnant. To go further, Kentucky hasn’t scored more than 15 points since putting up 24 against the Gamecocks. I want to see Eddie Gran open the playbook and mix things up tomorrow because the last thing we need is another game where we are ready to kill him. The last three games have not gone according to plan for Kentucky’s star RB as he has totaled only 221 yards rushing. One of the main reasons why Kentucky hasn’t been able to get the offense going is because the running game hasn’t been as affective as it was in the first part of the season. 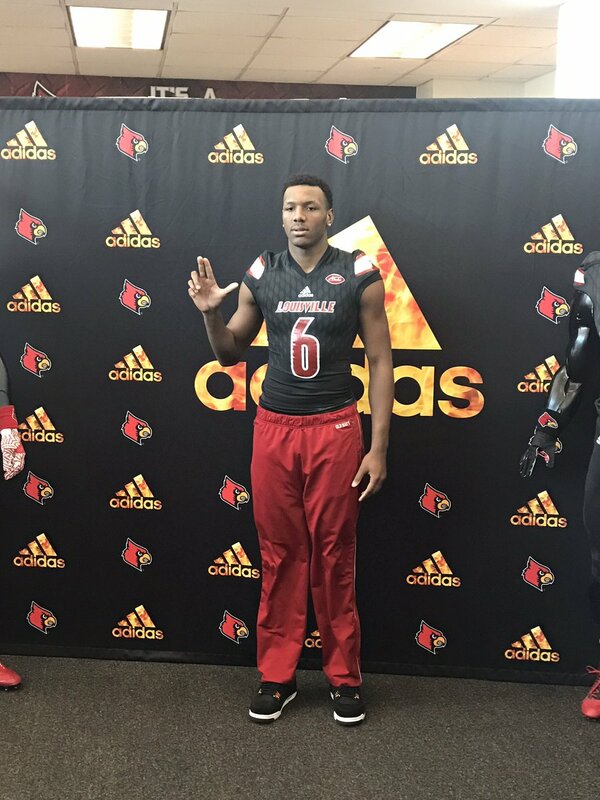 I would love to see Benny run for 120+ tomorrow which will help Terry Wilson in the passing game. For nearly the whole year, David Bouvier has been returning punts for the Cats and Lynn Bowden has only come in if the Cats need a spark. I want to see Stoops throw Bowden back there more because I have a hard time believing MT State will be able to stop him. They won’t be able to. Good lord it feels like it has been 4 years since Kentucky won a football game. After two depressing losses, this team and this fan base needs a jolt. I’m not saying that’ll happen when the Cats win tomorrow, but it will help us all. Wouldn’t mind a blowout either. 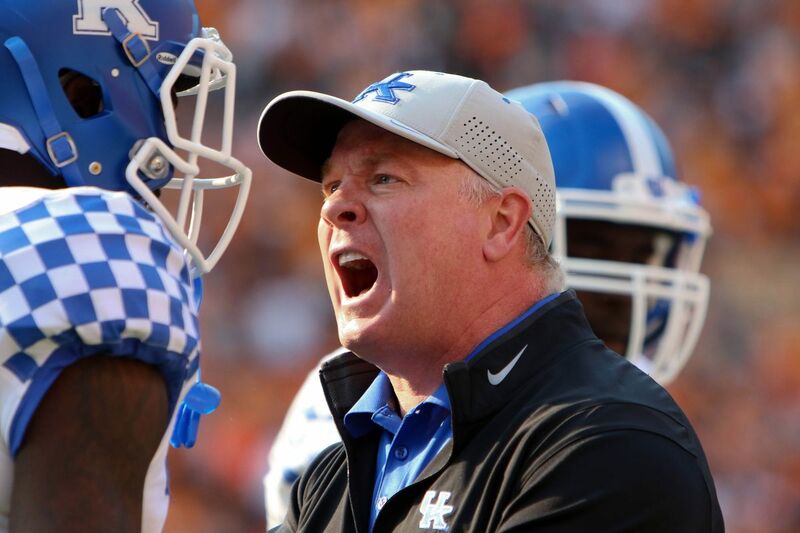 Mark Stoops held his annual Monday press conference on Wednesday where he primarily talked about the beat down in Knoxville this past Saturday, and a little about the upcoming game against Middle Tennessee State this Saturday. Here are five things that stuck out to me. After Kentucky’s defense looked awful Saturday, Stoops was asked if it was time to make adjustments to the offensive scheme. I am 50/50 on this. I agree with it because it wouldn’t be easy to plan a certain way for nine games, then change it all for the last two games, but I also don’t agree because while Kentucky has won seven games, they haven’t exactly looked good in every one of them. Maybe he would consider it if we didn’t finish the season with MT State and Louisville? After Benny Snell said that he could tell some guys were “going through the motions” on Saturday, Mark Stoops was asked if he thought the same. Can he get them pumped up for these last two games? I noticed Dorian Baker wasn’t out there, but I didn’t ask why because he can’t catch the ball. Stoops said the reason he wasn’t out there was because he wasn’t even at the game due to being suspended. Suspended for what? Stoops never clarified. After being ejected against UGA for targeting, Darius West was suspended for the first half of the Tennessee game. Tennessee scored 17 points in the first half and in the second half Kentucky held them to 7. Stoops was asked if him being out hurt the teams. With the other four things being about the Tennessee game, I thought I’d throw in something regarding the game this Saturday. Stoops focused on one player, their QB. C.J. Conrad (pictured above) is one of many seniors on this Kentucky football team. 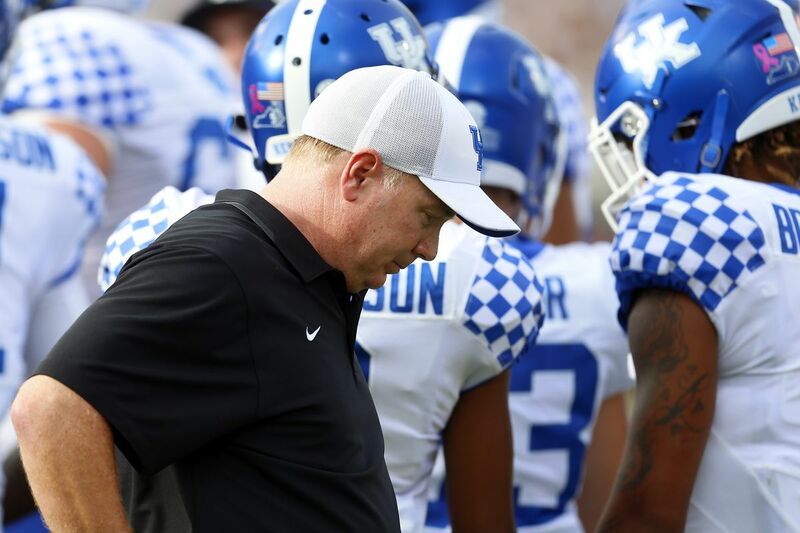 The 2015 recruiting class is maybe the best one (in terms of results) Mark Stoops has produced during his time at Kentucky, and that’s the main reason why this team is so good. 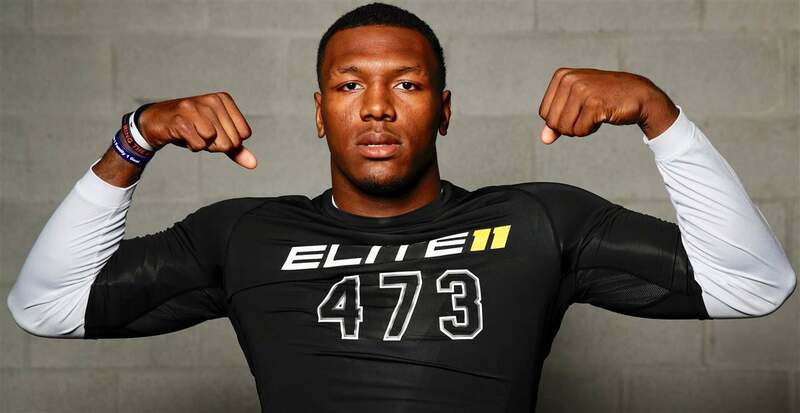 This graduating class includes players like Josh Allen, C.J. Conrad, George Asafo-Adjei, Derrick Baity Jr, Dorian Baker, David Bouvier, Mike Edwards, Lonnie Johnson, Jordan Jones, Bunchy Stallings, Darius West, Chris Westry, etc. All of those names have played a big part in every season since they stepped foot into Lexington. Their record at Kentucky is 26-22 with two bowl games. Hopefully once this season is complete, that record will improve to 29-22 with three bowl games. We all knew Stoops could win games once he could recruit his own players and fill a team full of guys that he recruited and he has done just that. For all of you fans that have criticized these players over the years, just remember that they didn’t have to come to Kentucky because they weren’t promised success. I hope you all will join me in letting them know how much we appreciate what they have done here. In 1977, Kentucky football went 10-1 (6-0) in Fran Curci’s fifth season, but due to NCAA probation Kentucky wasn’t eligible for the SEC Championship or postseason play. Since then, Kentucky has had 12 winning seasons, but 3 of those 12 seasons have started historically good. Those seasons are 2007, 1984, and this season. In those years Kentucky started the season 5-0, but there’s only one other year that had the hype similar to this season, 2007. In 2007 and 2018, Kentucky has gone on the road for its sixth game looking to start the season 6-0 just to suffer a deflating loss. In 2007, that loss was to eleventh ranked South Carolina, 38-23. This year that loss was to unranked Texas A&M, 20-14. Now of course after the loss to South Carolina in 2007, Kentucky went on to beat top ranked LSU and move into the top ten. This year is similar, Kentucky didn’t beat the top ranked team obviously, but beat Vanderbilt at home and then somehow beat Missouri in one of the more unlikely wins in football history, which moved them into the top ten. In both seasons, Kentucky had an historically good start, suffered a deflating loss, came back with wins that boosted the fan base and got us all excited again, and had a chance to win the SEC East. In 2007, UK played Florida and this year they played Georgia. Kentucky would go on to lose both games and fall out of the top 10. The next game though is what crushed both seasons. In 2007, Kentucky, ranked 14th in the nation, hosted Mississippi State where they got crushed 31-14 in a horrible game. The crushing defeat this year was Tennessee, yesterday. The 2007 team started 5-0 and proceeded to win only 3 of their last 7 games. That season is different though because in those 7 games Kentucky faced 5 ranked teams, whereas this team has faced only one. These seasons are very similar in ways Kentucky fans wish they weren’t. Both seasons Kentucky got off to historically good starts and in short, not able to finish the season off. This year Kentucky can still finish 9-3, which has only happened once (1984) and would be a great season. But after starting the season 7-1, we would all be feeling a little disappointed, mostly because of yesterdays game. Kentucky has had three 5-0 starts since 1977 and It sadly looks like 2 of the 3 will be disappointing seasons.